One of the beautiful childhood memories that accompany many of us is not an attractive theme park abroad, nor a huge mall with children's attractions, not a show of entertainment star and selfie with mother and with him - but something we have done over and over, alone or with someone from the family and quietly - the construction of a palace in the sand. What do you need for that? Bucket, spoon, sand and sea. Fill the bucket, pour the sand, dig a ditch, add shells for decoration (if desired) and walla!- we have an impressive sandcastle. The more we invested in the palace, the more beautiful it was. And all the materials we got from nature. 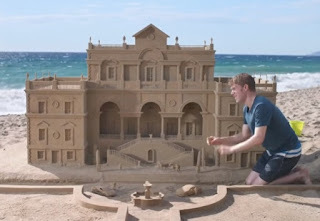 Building a sand castle is not only a way to pass the time to the child. It is also a way to learn about life, nature and creativity. 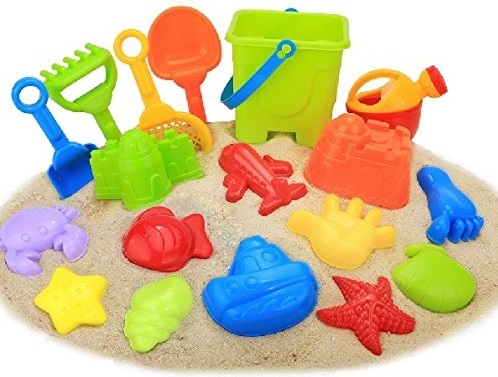 True, the bucket and the spoon have to be bought, but in the toy stores you can buy whole sets of buckets, sieves, molds in various shapes, rakes and spoons at a very cheap price. 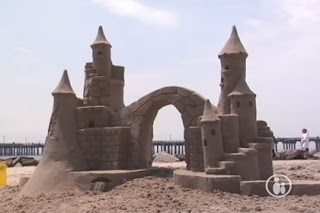 In many countries there are sand sculpture festivals that include the construction of many sand castles. How to celebrate the Sandcastle Day? You can go to the beach and build palaces in the sand, you can do sand dunes competition with friends - whose sandcastle is the largest and most impressive? You can photograph the palaces you built and upload to the social networks. If you are a parent of children, take them to the sea and build a palace together. It will be a wonderful quality time with them and give them one of the most charming childhood memories. Take a bucket and spoon, put sunscreen and go to the beach to build a palace in the sand!